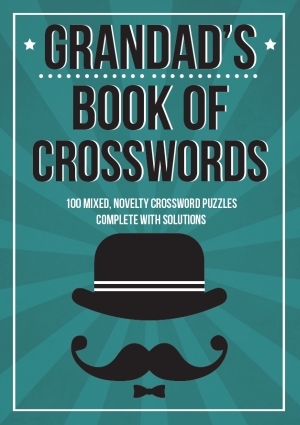 Welcome to this book of 100 mixed, novelty crosswords, just for Grandad! Featuring a great selection of the classics and some completely new puzzle types, including spiral crosswords, pangrams, triplet crosswords, vowelless and many more, this is a great book to challenge and advance your puzzle solving skills! 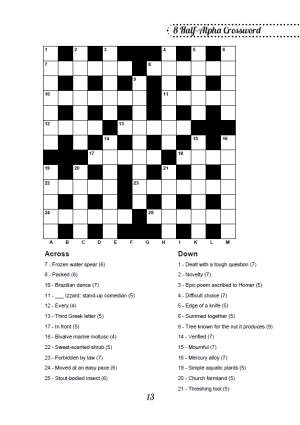 Whether you're looking for a less challenging puzzle to wind down with, or you're wanting to really work your brain and tackle the more difficult crosswords, there's definitely something to keep you busy here. All of our books are printed on very high quality paper making the puzzle experience all the more enjoyable!